Bobby died at Berkeley County, West Virginia. Bobby was born. He married Doris Elizabeth Tabb on 22 March 1951. She married Robert E. Smith , Sr. Frances was born at Frederick County, Virginia, on 28 March 1910. Frances died on 24 September 1988 at Virginia Beach, Virginia, at age 78. Her body was interred on 27 September 1988 at Norfolk, Norfolk County, Virginia, at Woodlawn Memorial Gardens. Robert E. Smith , Sr. He married Frances Tabb. Robert died at Virginia Beach, Virginia. Robert was born. John was born on 1 March 1832. He married Mary Wilkerson Tabb on 16 December 1856. John died on 9 April 1919 at Martinsburg, Berkeley County, West Virginia, at age 87. His body was interred after 9 April 1919 at Martinsburg, Berkeley County, West Virginia, at Green Hill Cemetery. Arabella was born on 27 February 1834. Arabella died on 13 December 1855 at age 21. Acquilla was born in 1836. He married Mary Hamilton on 29 January 1874. Acquilla died in 1922. Her body was interred at Berkeley County, West Virginia, at Tuscarora Presbyterian Church. Mary was born in 1839. She married Acquilla Janney on 29 January 1874. Mary died in 1932. William was born in 1840. William died in 1916. She married Edward Walker Lupton at Hopewell Friends Meeting House, Frederick County, Virginia. Mary was born at Martinsburg, Berkeley County, Virginia, on 14 April 1856. Her body was interred in May 1917 at Martinsburg, Berkeley County, West Virginia. Mary died on 24 May 1917 at age 61. He married Mary Evalina Janney at Hopewell Friends Meeting House, Frederick County, Virginia. Edward was born on 12 January 1843. Edward died on 6 December 1910 at age 67. His body was interred in December 1910 at Martinsburg, Berkeley County, West Virginia. George was born at Martinsburg, Berkeley County, Virginia, on 14 January 1858. He married Mary Howell in 1882. George died on 22 May 1932 at Waterloo, Black Hawk County, Iowa, at age 74. He was buried after 22 May 1932 at Ontario, San Bernardino County, California. Mary was born at Clark County, Ohio, on 10 February 1860. She married George Campbell Janney in 1882. Mary died on 2 December 1946 at Ontario, San Bernardion County, California, at age 86. She was buried after 2 December 1946 at Ontario, San Bernardion County, California. Fannie was born on 11 January 1860. Fannie died on 26 October 1864 at age 4. Her body was interred after 26 October 1864 at Berkeley County, West Virginia, at Tuscarora Presbyterian Church. Henry (Harry) Lee Janney ,M.D. Henry was born on 17 February 1863. He married Nellie Zuhrmulhen in 1896. Henry died on 8 April 1897 at age 34. Nellie died. Nellie was born. She married Henry (Harry) Lee Janney ,M.D. in 1896. Peyton died. He married Vida Cassiday. Peyton was born on 17 November 1866. She married Peyton Randolph Janney. Vida died. Vida was born at Muncie, Indiana. John Tabb Janney , Jr.
She married William Majors. Martha was born in 1883. Martha died in 1950. He married Martha Wilkerson Janney. William died. William was born. John was born in 1887. John died in 1919. 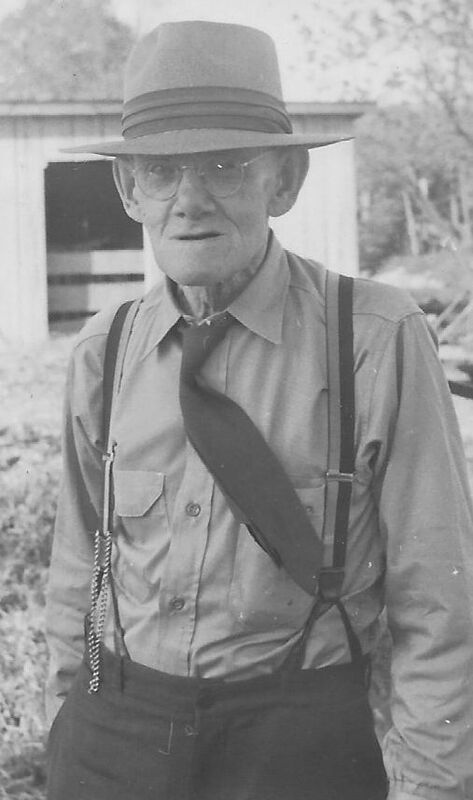 George Campbell Janney , Jr.
George was born in 1894. George died in 1976. Robert died. Robert was born. Jack died. Jack was born. Mary died. Mary was born. She married La Rue Peyton Randolph , Jr.
La Rue Peyton Randolph , Jr. He married Mary Louise Janney. La died. La was born. Edward was born at Berkeley County, West Virginia, on 14 November 1908. He married Virginia Solenberger at Berkeley County, West Virginia, on 24 June 1948. Edward died on 16 January 1976 at Martinsburg, Berkeley County, West Virginia, at age 67. His body was interred after 16 January 1976 at Berkeley County, West Virginia, at Falling Waters Presbyterian Church.